A highlight of your stay in Byron Bay will be this ocean adventure padding up close with dolphins, whales and turtles in Cape Byron's National Marine Park and learning the local Aboriginal stories and sacred places. You will also have a great view of Byron's coast line and the Byron Bay lighthouse from the water. Your 3 hour kayak tour will start at our beautiful trailer on the Beach front in Byron Bay where you'll meet all your fellow paddlers, pair up on the 2 person kayaks and learn the basics of paddling a sit-on-top kayak. Then we'll hit the ocean where you can impress your friends (and yourself, just quietly) getting out past the shore break. Once out on the water you'll learn about local Aboriginal stories and sacred places, paddle along surfing mecca "The Pass", Wategos millionaire row, and Australia's most Easterly point Cape Byron. Keep an eye out for those cheeky dolphins, whales when in season and turtles popping up for a breath of fresh air. Paddle back to the main beach and enjoy the stunning view of the Byron Bay coast line and lighthouse. You might like to surf a wave back to shore - we will show you how. Tell all your friends what an incredible time you had paddling with dolphins, whales and turtles with Go Sea Kayak Byron Bay! Meet at our trailer opposite 56 Lawson St. Byron Bay 20 minutes before your tour time. We can also pick you up from your accommodation at no extra charge. NOTE: Please be aware that Byron Bay is a little town with BIG traffic problems, if you are within 1km of us you will walk a lot quicker to us then the time it takes for us to pick you up and drive to our location. Why Kayak with Go Sea Kayak Byron Bay? Go Sea Kayak Byron Bay is owned and operated by real local surf lifesavers, ensuring your sea kayaking adventure is fun, safe and memorable. We don't just say we are Lifesavers, we patrol the local beaches. 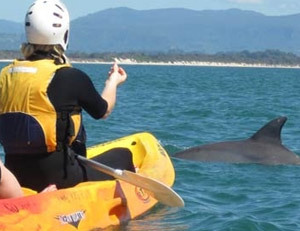 We have the best customer to tour guide ratio for Byron Bay Sea Kayak Tours. Our Go Sea Guarantee ensures that if you don't see a Dolphin, Turtle or Whale you can come again for free! 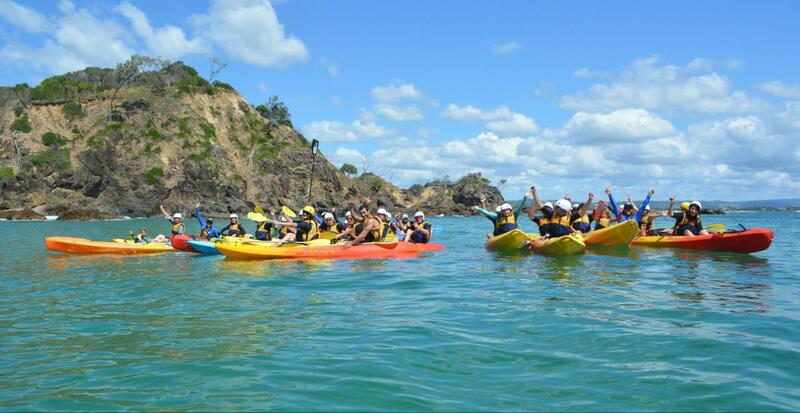 We are the only Sea Kayak Tour in Byron Bay with a 100% safety record. Unlike other companies, we have NEVER needed rescuing as we respect Mother Nature and the elements. Your safety is our Number 1 priority. In over ten years of operating we have taken over 80,000 people kayaking here in Byron Bay without a single incident. Go Sea Kayak employs local Aboriginal guides adding another unique dimension to our tours. Our guides will tell you the local stories of special places, animals and people relevant to Byron Bay. Our local staff are professional, and enthusiastic - we love what we do and make sure you have a great time Click here to read of the experiences from some of our customers. $1 from every Go Sea Kayak customer is donated to Sea Shepherd Conservation Society and Dolphin Research Australia. you around the beautiful Cape Byron Marine Park. See you soon!